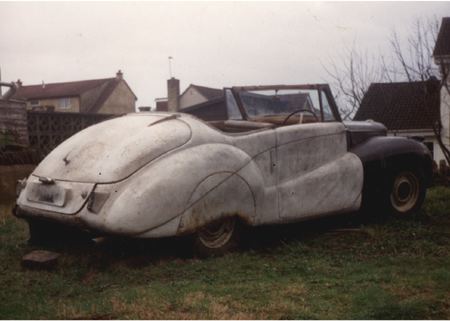 Over 15 years ago I purchased my first Daimler motor car and set about restoring it, almost all of the work was carried out at home and I learned the techniques required as I progressed, ‘skills’ learned as a youngster when running cars and motorcyles on a shoe string, came into their own. Once on the road the Daimler’s performance exceeded my expectations and was extensively used on high days and holidays. Over the ensuing years, I have been lucky enough to have owned many more of the excellent motor cars manufactured by the Daimler and Lanchester concern, some were restoration projects, but others were already in excellent condition. As a result of my interest in the Daimler & Lanchester marques, I have had articles published in The Automobile, Practical Classics, Classic Car, The Telegraph and The Bristol Evening Post. In early 2001, I was delighted to be invited by the Chairman of the Daimler and Lanchester Owners’ Club to edit the monthly magazine, The Driving Member, my experience of multiple vehicle ownership has undoubtedly helped me to perform this most pleasurable task. This website has been created with the intention of describing the various motor cars manufactured by the Daimler company, that I have personally owned or frequently driven. Where possible I will attempt to provide a buyers guide explaining the known weaknesses of a particular model. Daimler never made a bad car, they were all excellent when used for their intended purpose, however, the expectations of an elderly gentleman buying a Lanchester LA10 and the young wealthy man about town, who invested in a bespoke, coach built Light Straight Eight Sports saloon were very different, these personal preferences are difficult to overcome but I hope that I give an unbiased account of each model. If you have an interest in Daimler, Lanchester or BSA motor cars of any age, I would heartily recommend membership of the Daimler & Lanchester Owners’ Club. The restoration and maintenance of these cars would have been very difficult without the helpful advice from club members and the expert traders associated with the club. Kevin Bennett, Editor, Daimler and Lanchester Owners’ Club. Does your old car overheat?